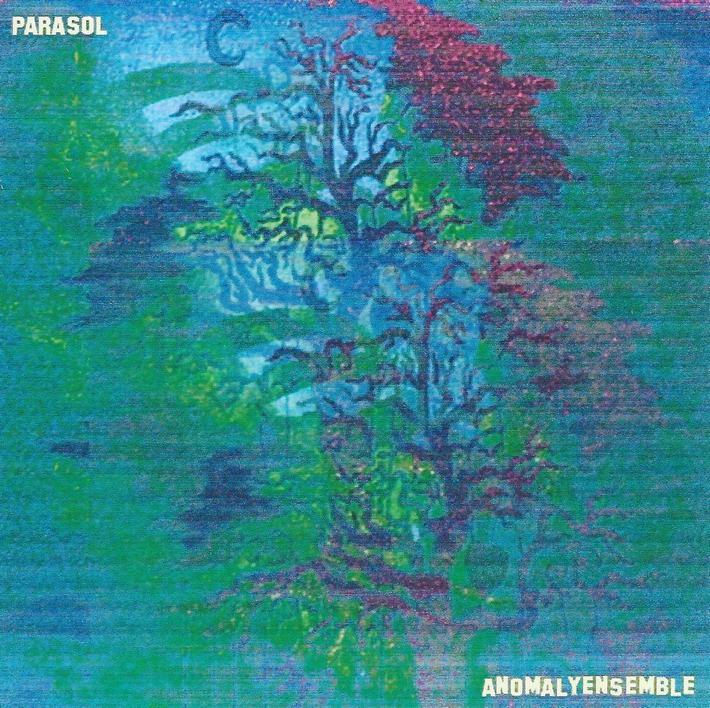 Anomaly Ensemble is the duo of brothers Jim and John Panebianco, whose music I had been familiar with through several albums released as Dharma Son Collective. Their first albums in the mid-2000s consisted of lengthy jams that the band described as “experimental/avant-garde that crosses psychedelia with the ideals of 60s/70’s space rock, influenced by the likes of Amon Duul I & II, Ash Ra Tempel, Can, Soft Machine, Faust, early Pink Floyd, Guru Guru, Acid Mother’s Temple, Miles Davis and more.” Pretty ambitious stuff, especially considering that some of the members were as young as 14 and 16 years old at the time. Anomaly Ensemble takes the ideals of their previous band and wraps it all into more structured packages. Turn On Machine opens with a volcanic free-wheeling jam like the most space-metallic moments from Hawkwind’s Space Ritual. But after nearly 2 minutes they launch into a psychedelic Blues rocking song that sounds like Jim Morrison singing with Captain Beefheart’s band. The rhythms and one of the guitars are what make the Beefheart sound, though at times we get a late 70s San Francisco psych vibe as well. ‘Ol Death Eyes is similar, being a short, punchy Beefheart influenced Blues-Psych rocker. At 10 minutes, Consumption Blues is the longest song of the set, featuring mellow rocking Blues-Psych with an atmospheric vibe that I can only think of as a strange sort of Bluesy Shoegaze. Later in the song the music shifts to pure down ‘n dirty Blues rock, with really cool multiple guitar parts, both soloing and rhythm. The vocals are damn good. Jim or John, whichever is handling the vocals, really does sound like Jim Morrison, and his singing is seriously passionate. No Second Glance (Thru The Trigger) has a bouncy lounge jazzy groove, along with the Morrison styled vocals. But like Consumption Blues, there’s a difficult to describe spacey ambience about it that makes the whole thing strangely and satisfyingly tripped out. There’s lots of variety on the album. Liquid People consists of trippy, tribal, freakily efx’d spaced out psych that recalls the wildest moments from Amon Duul II’s Yeti. Parasol I & II are both avant-space explorations into sound and atmospheric creation, like John Cage meets the earliest Tangerine Dream. To Anne Claire is a dreamy and very pleasant solo acoustic guitar piece. Though I’ve said the vocals are near dead ringers for Jim Morrison, Keep Yr Faith (On A Chain) is the first song I’ve heard where the music sounds like the Doors, and it’s pretty close too, though Anomaly Ensemble are far more spaced out. And Paranoiac Twilight is an acoustic driven, surreal blend of the Doors and Donovan. Of the 12 songs on Parasol, there are two that I considered a bit weak relative to the rest of the set. Demons For The Trees is an avant Blues-Psych tune with a Beefheart influence in its approach to odd rhythms. There’s lots of good ideas here but it’s a bit uneven and meandering, whereas most of the tracks excel at being freeform and experimental but in a more confident, goal-oriented way. Ditto for The Downer Scene. I hear Doors, Jefferson Airplane and Beefheart influences, but the whole thing is too disjointed. In summary, these guys have really matured as musicians and artists since the early Dharma Son Collective days. The free-wheeling spirit of the Dharma Son Collective jams is present, but Jim and John have created music and songs that are more tightly focused, and in most cases excel at being freeform yet controlled.